Final Pricing on hair services is dependent on style & complexity. Prices are dependent on length & condition of hair. A $75 (non-refundable) deposit is required for booking and is applied toward the balance when services are done . ½ of Balance is due the day of the trial run; the remaining balance is due at least 72 hours prior to Wedding/Event. Payment accepted via : Cash, Check or Money Order. 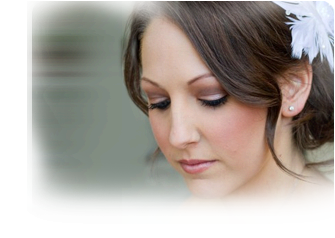 Bridal services can be provided On-Site or In-Salon. Travel fee for on-site services is $175 (plus parking fees, if any), subject to change depending on the distance of your location from the salon. There is a $50 holiday fee if the wedding/event day falls on the day Or Weekend of a National Holiday. There is a $25 fee if services are required before 12:30 pm on a Sunday or before 8:30 am Mon-Sat. Any additional service fee applied is per artist. Gratuity is not included but always appreciated. Please don't hesitate to contact me for a quote - I'll try hard to work within your budget!